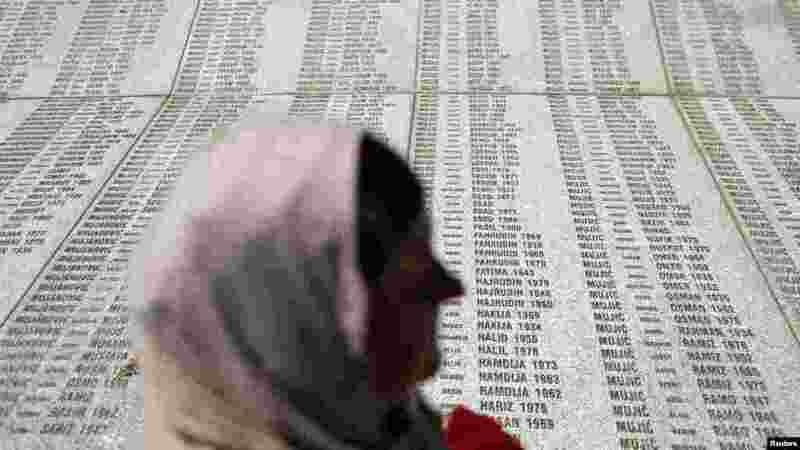 Abandoned by their U.N. protectors toward the end of a 1992-95 war, 8,000 Muslim men and boys were executed by Bosnian Serb forces over five July days, their bodies dumped in pits then dug up months later and scattered in smaller graves in a systematic effort to conceal the crime. More than 1,000 victims have yet to be found. 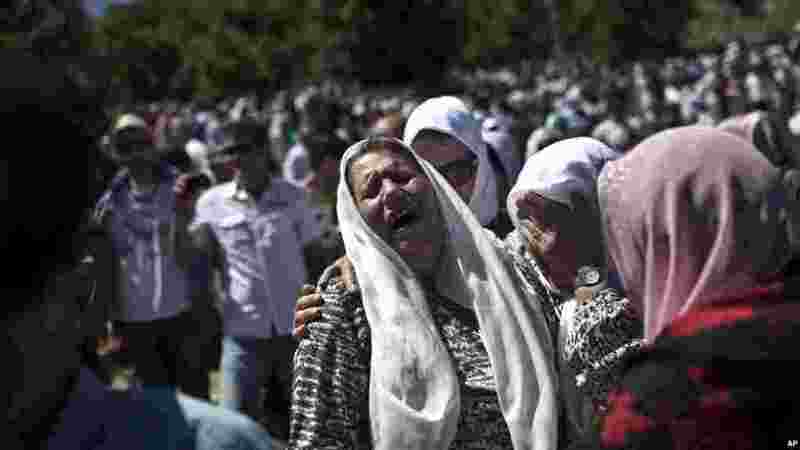 1 A woman cries as the remains of her son are buried at the Potocari memorial complex near Srebrenica, 150 kilometers northeast of Sarajevo, Bosnia and Herzegovina, July 11, 2015. 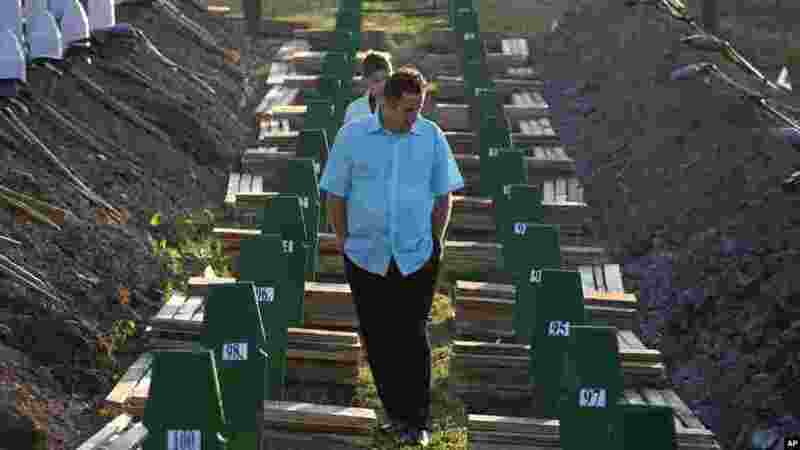 2 A Bosnian man walks among graves during a funeral ceremony for the 136 victims at the Potocari memorial complex near Srebrenica, 150 kilometers (94 miles) northeast of Sarajevo, Bosnia and Herzegovina, July 11, 2015. 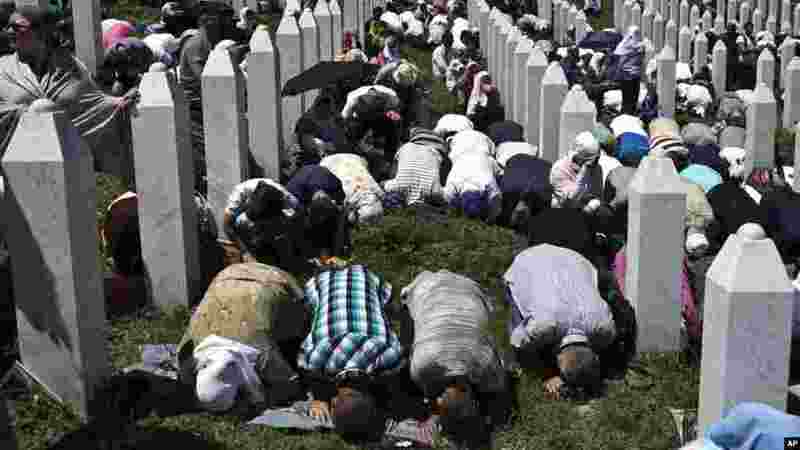 3 People pray during a funeral service at the Potocari memorial complex near Srebrenica, 150 kilometers northeast of Sarajevo, Bosnia and Herzegovina, July 11, 2015. 4 A woman stands in front of the Memorial Center during a reburial ceremony of 136 newly identified victims in Potocari, near Srebrenica, Bosnia and Herzegovina, July 11, 2015.